Ana Mari Cauce is the 33rd president of the University of Washington. A member of the UW faculty since 1986, she rose through the ranks while increasing her responsibilities through a number of leadership positions. The University of Washington is seeking a creative, inclusive, strategic and collaborative leader to serve as the next senior vice president for University Advancement. President Cauce delivered her annual address on Oct. 16, 2018. She discussed how public reinvestment in higher education is necessary for the UW to honor its public promise. 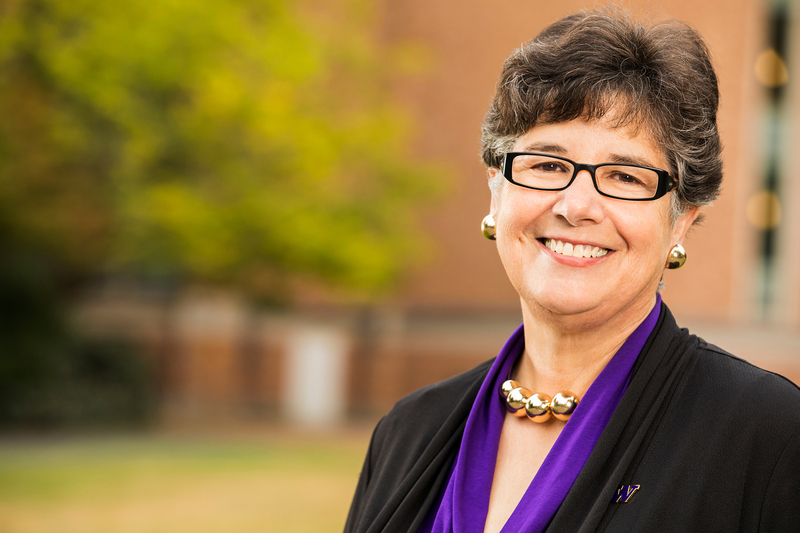 President Ana Mari Cauce delivered an address on March 29 about the value of college to individuals and the world and what our academic community can do to advance the UW’s public service mission. President Ana Mari Cauce outlines the development of a 25-year vision to advance the health and well-being of people around the world. In April 2015, then-Interim President Ana Mari Cauce held a dialogue with students about equity, racism and difference.